Price/Budget: You need to fix a price you can pay. Money is the most important deciding factor and without fixing your price, you will find it difficult to buy a vehicle. Body Style: Always make up your mind for a body style before beginning with your search. If you want a sedan then don’t start looking in the SUV territory. Manufacturer: Some people have affection for specific manufacturers like Mercedes, BMW. If you have no preference for a specific manufacturer, then just set your budget and body style preference and move ahead with your search. In this example, I will be using NadaGuides for searching out the used car prices. My preference would be Toyota 4Runner with 4 Wheel Drive. I can buy a vehicle with around 50,000 mileage and with some specific optional equipment as per my preference. So, let’s begin with our search. The price of each car depends upon the state you are in. United States vehicle sales tax varies by state, and often by counties, cities, municipalities, and localities within each state. So, in order to get accurate price range, you will be asked to provide your zip code. 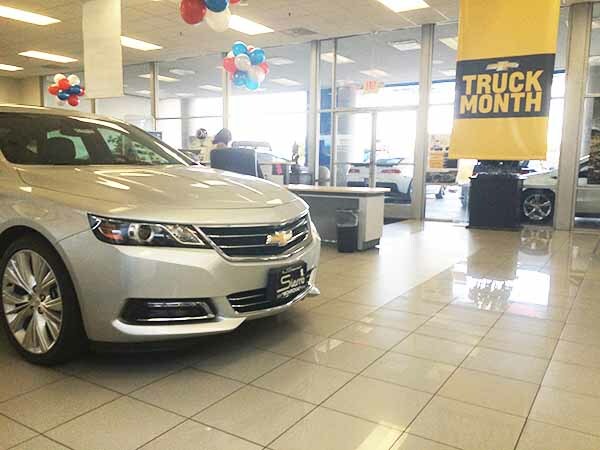 On this stage, you can either move ahead with a specific manufacturer or a preferred Body Style. Whatever you choose, the final outcome will be the same – Suggested Price. Browse by Manufacturer : If you have a preference for a specific manufacturer, just click on the one you like and all the vehicles from that manufacturer will be presented to you on the next page. I selected Toyota from the list. Browse by Body Style : If you are not sure which Manufacturer to look for, or you want to view vehicles by Body Style then click on any one from the list to see the vehicles with that Body Style. I selected SUV from the list. NadaGuides has a massive database of all the vehicles being sold in the US since its inception. On the step, you will find all the vehicles from the manufacturer you selected in the previous step. If you chose to browse using Body Style then you will be presented with a list of all the vehicles matching the Body Style you selected in the previous step. You can browse through the list to find a suitable match to your needs. You can also filter down the vehicles by using the 2 Dropdowns on the top of the list. If you know the model and year of manufacture then it will be great tool for you to scrutinize your search. Just select the Year of Manufacture from the first box and Body Style from the second to filter out the list. My preference for those options were 2011 and SUV. 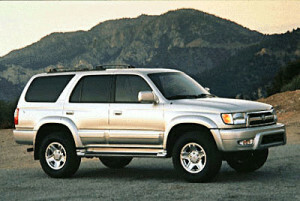 After filtering down the list with my options, I was able to locate the car which I was looking for – Toyota 4Runner. I am sure you must have also found your vehicle from the list. If not, try changing the values for a new list of vehicles. Each vehicles comes with different trim levels. You need to make sure that you select the one which you are looking for otherwise there will be a difference in the NadaGuides estimated price. I chose “Utility 4D SR5 4WD” as I was looking for 4 Wheel Drive SR5 Variant. If you are dealing with someone privately and you know how much the person has driven that vehicle then it will be an easy process to get a pin point price of that vehicle. On this stage, you will have to provide the mileage (I set 50,000 miles here) and select optional equipment from the list ( I selected Power Seat, 3rd Row Seat). Your choice should be based on the vehicle you are looking to buy, either from a dealer or privately. Rough Trade-In : A vehicle with significant mechanical defects requiring repairs in order to restore reasonable running condition; paint, body and wheel surfaces have considerable damage to their finish, which may include dull, faded or oxidized paint, small to medium size dents, frame damage, rust, or obvious signs of previous repairs; interior reflects above average wear, with inoperable equipment, damaged or missing trim, and heavily soiled /permanent imperfections on the headliner, carpet, and upholstery; may have a branded title; vehicle will need substantial reconditioning and repair to be made ready for resale; some existing issues may be difficult to restore. Because individual vehicle condition varies greatly, users may need to make independent adjustments for actual vehicle condition. Average Trade-In : A vehicle that is mechanically sound but may require some repairs/servicing to pass all necessary inspections; paint, body and wheel surfaces have moderate imperfections and an average finish which can be improved with restorative repair; interior reflects some soiling and wear in relation to vehicle age, with all equipment operable or requiring minimal effort to make operable; clean title history; vehicle will need a fair degree of reconditioning to be made ready for resale. Because individual vehicle condition varies greatly, users may need to make independent adjustments for actual vehicle condition. Clean Trade-In : A vehicle with no mechanical defects and passes all necessary inspections with ease; paint, body and wheels may have minor surface scratching with a high gloss finish; interior reflects minimal soiling and wear, with all equipment in complete working order; vehicle has a clean title history; vehicle will need minimal reconditioning to be made ready for resale. Because individual vehicle condition varies greatly, users may need to make independent adjustments for actual vehicle condition. Clean Retail : A vehicle with no mechanical defects and passes all necessary inspections with ease; paint, body and wheels have minor surface scratching with a high gloss finish; interior reflects minimal soiling and wear, with all equipment in complete working order; vehicle has a clean title history. Because individual vehicle condition varies greatly, users may need to make independent adjustments for actual vehicle condition. This search for finding out NadaGuides Used Car Values was carried on 6th October 2014. NadaGuides system automatically updates the prices of all the vehicles at specific time intervals, so you might get different prices. The actual prices may vary depending upon the time you used their system for finding out the value.